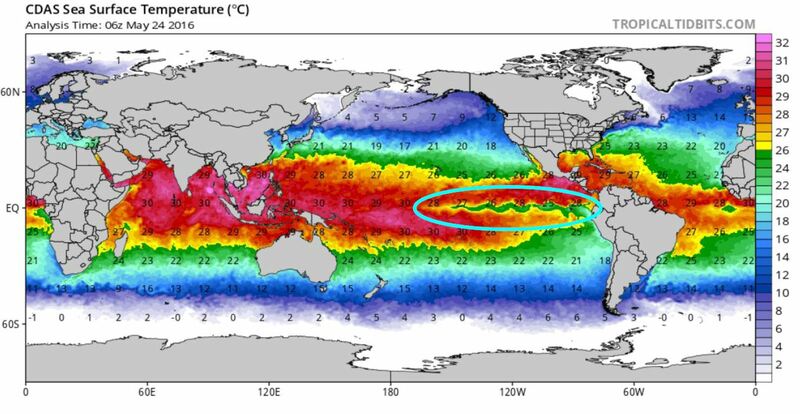 Home › Baja California › Is El Niño finished? 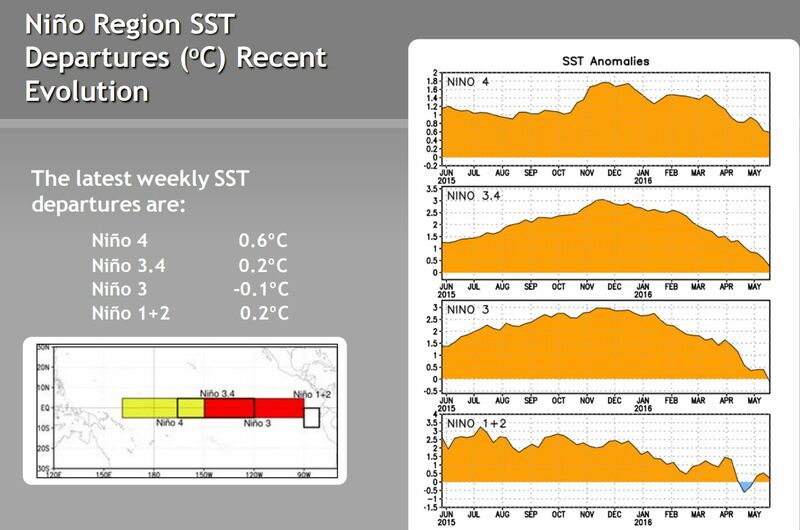 As many now, we had quite a strong El Niño develop in the central and eastern Pacific Ocean as Sea Surface temperatures soared to 3.1°C above normal (tying the previous record from 1997). Normal is considered as 28°C or ~82.4°F. 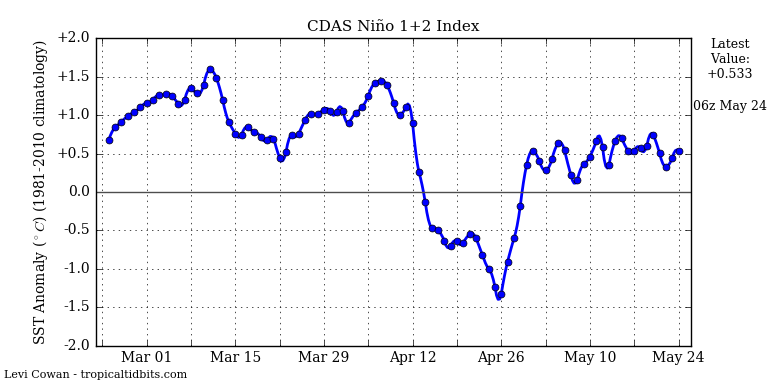 The focus now is shifting towards a La Nina this year, in which the equatorial central and eastern Pacific is now cooling rather quickly. First thing is to identify with the Niño regions and where they are. 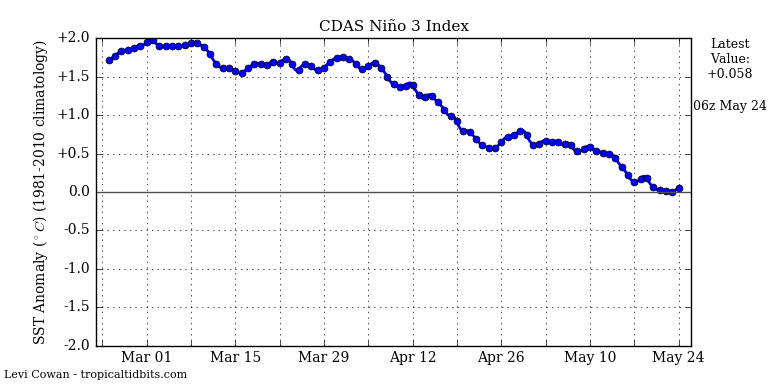 The ONI (Oceanic Niño Index) is derived from the largest and most influential region, Niño Region 3.4, over an overlapping 5 season period for consistency. This is done in 3 month increments. 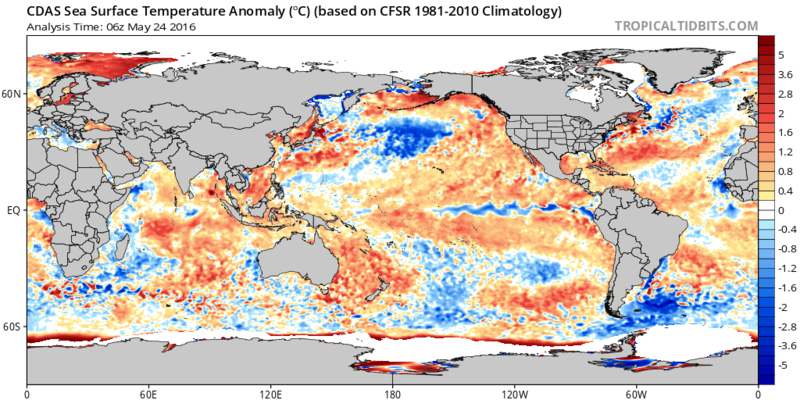 Let’s take a quick look at the latest Sea Surface Temperatures, which show an obvious cooling streak along the equatorial eastern and central Pacific. 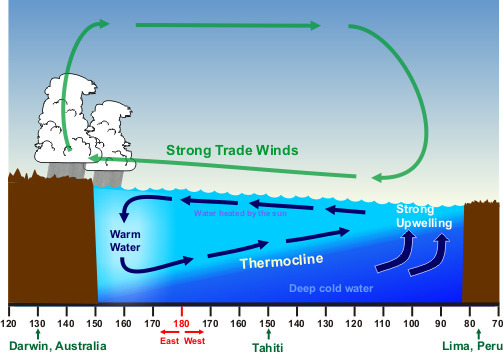 This is due to cool water up-welling from deeper below the surface along what is called the “thermocline” (underwater body of cooler water). Here is the anomaly of temperature departures which shows the significant drop in temps recently along that belt. 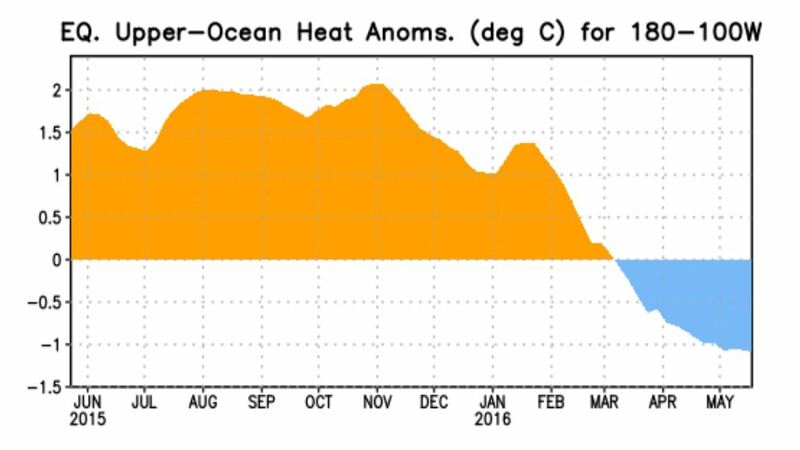 Equatorial upper ocean heat that shows cooling starting in March and going well into May (from the latest CPC ENSO report). 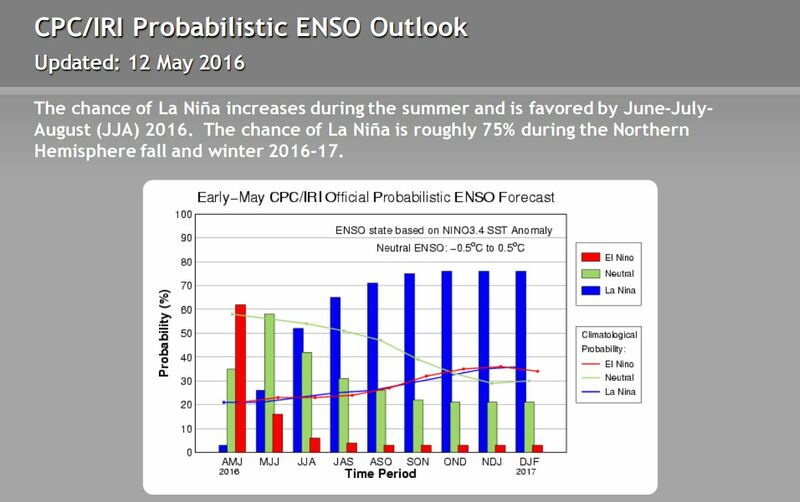 So what are the chances of a La Nina year? Pretty good case for it to develop by summer 2016 and a 75% chance by the fall/winter. 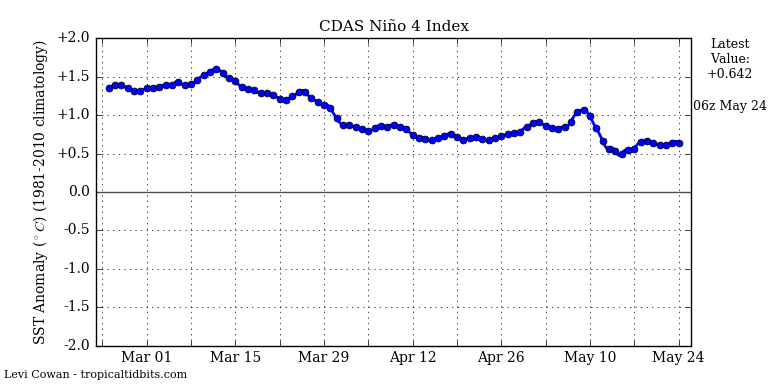 Bottom line is that the Sea Surface Temps are falling and a La Nina is favored. 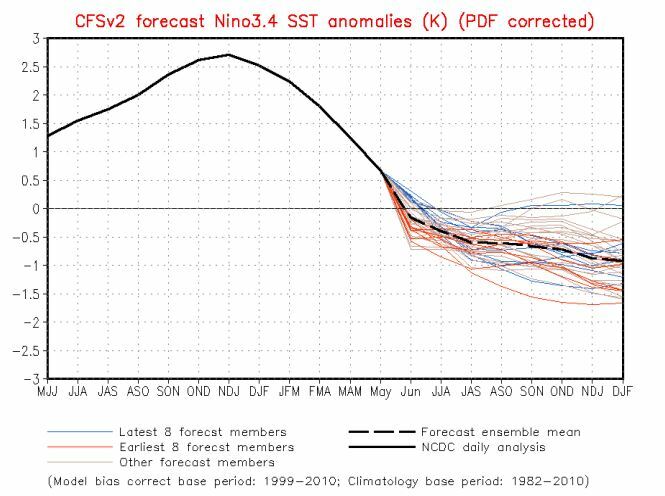 It certainly appears that we have enbtered a ENSO Neutral phase, but we will have to wait and see what the ONI values say once overlapping and other details give researchers the information they need to determine the index. 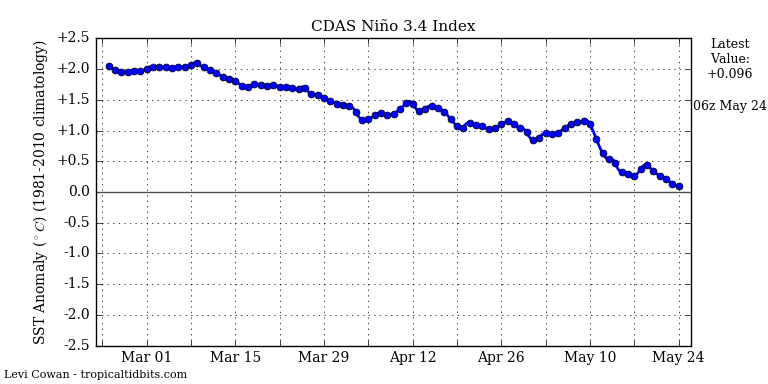 After such a strong El Nino, it should be interesting to see how the Atlantic responds. 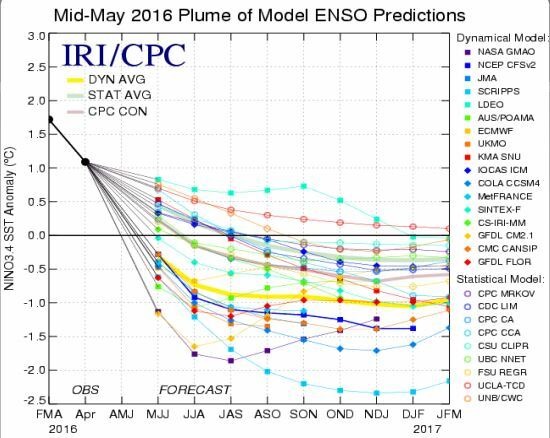 Waiting on the 3 month ENSO Diagnostic to come out in June from the CPC and watching as temps continue to fall. We’ll be keeping an eye on this and the tropics- the Atlantic Basic Hurricane Season starts up on June 1st and we are already seeing an area of potential near the Bahamas. Let’s see what happens this year! 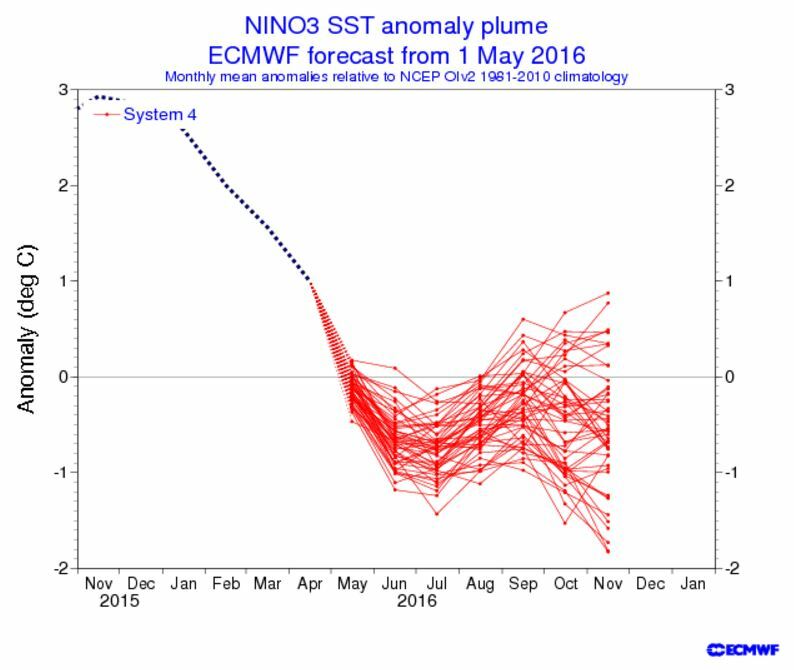 ‹ Tropics Waking Up Early for Hurricane Season 2016?